Zac Spain celebrates after Streets of Avalon wins the Hareeba Stakes at Mornington 23.3.19 (Racing Photos). Sun Stud stallion Magnus enjoyed an across-the-card stakes double on the weekend with the first of those victories coming courtesy of Streets Of Avalon taking out the Listed Hareeba Stakes at Mornington, before Rio Del Mar landed the Group 3 Gimcrack Stakes at Ascot. The locals had plenty to cheer about when the Shane Nichols-trained Streets of Avalon captured the Listed Hareeba Stakes at Mornington. Ridden a treat by apprentice Zac Spain, the four-year-old son of Magnus defeated Bons Away (Bon Hoffa) by a length with Sniztkraft (Snitzel) one and a half lengths back in third. Just over 12 months ago, Streets Of Avalon was third in the Group 3 Zeditave Stakes and came into the Hareeba off the back of a third in the Listed March Stakes at Flemington. It advances his record to five wins, seven seconds and eight thirds from 30 starts with earnings of $534,360. A homebred for Warren Racing, Streets Of Avalon is the best of two winners out of the Black Minnaloushe mare Kamuniak who was a $75,000 yearling purchase at the 2009 NZB Premier Yearling Sale. Kamuniak is a sister to the Champion 2YO in NZ in 2005-06, Joker Wild who numbered the Group 1 ARC Diamond Stakes and Group 1 Manawatu Sires’ Produce Stakes among his seven wins. Kamuniak has a yearling filly Magnus and a filly foal Starspangledbanner. She was bred back to Magnus last year but missed. Streets Of Avalon became the 18th stakes-winner for Magnus and he did not have to wait long for number 19. It came with the Simon Miller-trained two-year-old filly Rio Del Mar in the Group 3 Gimcrack Stakes at Ascot. Ridden by Chris Parnham, the fast-finishing Rio Del Mar turned the tables on her Supremacy Stakes conqueror Prim And Proper by a half-head. 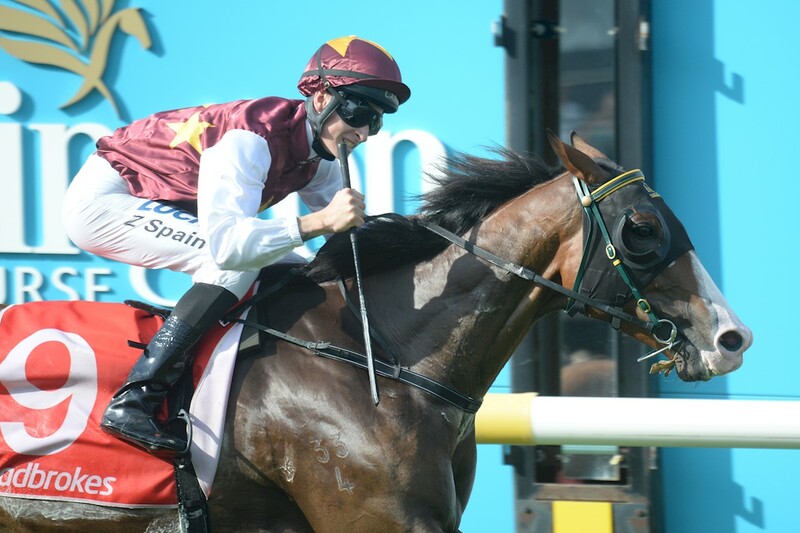 Rio Del Mar will likely head to the Group 2 Karrakatta Plate over 1200 metres on April 6. Consigned to the 2017 Inglis Australian Weanling Sales by Victoria’s Erinvale Thoroughbreds, Rio Del Mar was purchased for $20,000. She is the best of three winners out of the unraced Encosta de Lago mare Costanera who is a three-quarter sister to Group 1 VRC Emirates Stakes winner Titanic Jack and a half to Group 2 MVRC Alister Clark Stakes winner Chill Party (Nicconi). Purchased for just $4,000 at the 2009 Inglis Australian Easter Broodmare Sale, Costanera missed in 2016 and was not covered in 2017. She visited Cable Bay (IRE) last spring. Magnus had nine lots sell for an aggregate of $572,000 at an average of $63,556 during Book 1 of the Inglis Melbourne Premier Yearling Sale earlier this month. Leading Victorian sire Magnus can claim over 100 wins by his progeny for the 2018/19 racing season. The prolific winner-getter has 73 individual winners of 101 races and his progeny earnings exceed $3.74m – with some 20 weeks still remaining for the current season. Magnus sits equal 13th on the general sires table for winners and consistently finds himself inside the Top 20 Australian sires year after year. An overall winners to runners percentage of over 70% and an average earnings per winner of $121,946 puts the stallion in elite company. Magnus has over 300 individual winners (including 3 individual Group 1 winners) and they have accumulated over 1000 victories and $37.3m in progeny earnings between them.